As a company based in Memphis, TN, the city dubbed “America’s Distribution Center,” State Systems, Inc. knows how to take care of its clients in the warehousing and distribution industries. We understand that logistics managers have the critical task of ensuring the timely delivery of inventory. We also know that to do it well, they must eliminate the many factors that can slow or halt the supply chain process. State Systems, Inc. offers tailored fire protection, life safety and technology solutions to streamline your business, lower overhead and increase profits. Call us today at 866-308-5701 to schedule service or request an estimate! Preventing fires in your warehouse should be one of your top priorities. Disregarding the potential monetary losses for your business, the potential for loss of life is too great to ignore. During 2005-2009, an estimated 1,310 structure fires in warehouses were reported to U.S. fire departments each year, with associated annual losses of two civilian deaths, 22 civilian injuries and $162 million in direct property, according to the National Fire Protection Association (NFPA). Many of these fires took place in Tennessee, Arkansas and Mississippi—is your warehouse or distribution facility protected? It’s very important that your warehouse or distribution facility has fire sprinklers and fire extinguishers installed—the threat of fires in these types of facilities is very real. Automatic fire sprinklers have been saving lives, protecting property and preserving vital business assets for more than a century. They are widely recognized as the single most effective method for preventing the spread of fires in early stages, often before they cause severe injury to people and massive damage to property. Here at State Systems, Inc., our expert technicians test, inspect, maintain and repair fire sprinkler systems in warehouse and distribution facilities throughout the Mid-South. We ensure that your sprinkler systems meet NFPA guidelines as well as local fire safety requirements. Using a portable fire extinguisher during the first two minutes of a fire is arguably the most cost-effective defense against property damage from a fire. In the instance of small warehouse fires, employees can put out or at least contain a fire by using the proper equipment until the fire department arrives. Our expert technicians can help determine the right type, location and maintenance schedule for the fire extinguishers placed in your warehouse or distribution facility located near Memphis. 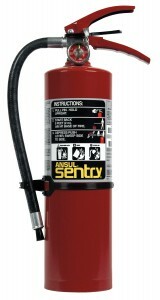 Now, installing fire extinguishers in your warehouse facility is an important first step. Installing even the best fire extinguishers, however, is meaningless if your employees are not trained to use them. At State Systems, Inc., we provide annual hands-on fire extinguisher training that complies with Occupational Health and Safety (OSHA) standards. Fire extinguisher training improves employee confidence and makes them more effective at fighting warehouse fires. Training has been shown to increase fire extinguisher effectiveness by 250 percent! When your employees are properly trained, you can feel confident knowing you’ll save your company from valuable losses, insurance costs, accidental injury and accidental death. Give us a call to learn more about the fire extinguishers we can install in your warehouse facility as well as the training services we provide. Warehouses and distribution facility managers throughout the Mid-South are realizing the growing importance of structured cabling in today’s world. 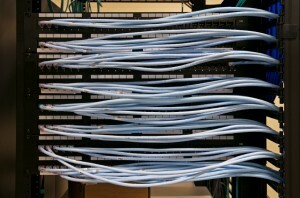 Structured cabling is the installation of a facility’s cabling infrastructure, the networking medium that allows phones and computers to communicate and access the Internet. Planning for the future and implementing a quality structured cabling system in accordance with industry standards will allow your networking equipment and computer system to perform to their true potential. All of our structured cable design and installation are cable for delivery of voice, data and video services. For more information on structured cabling for warehouses and distribution facilities, contact us online.